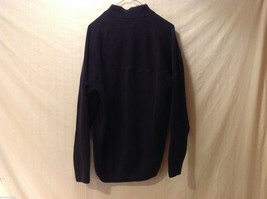 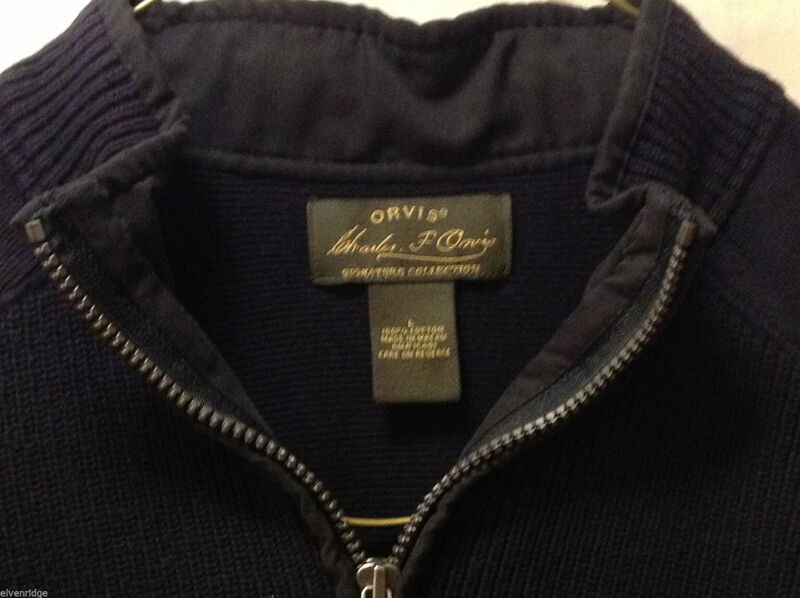 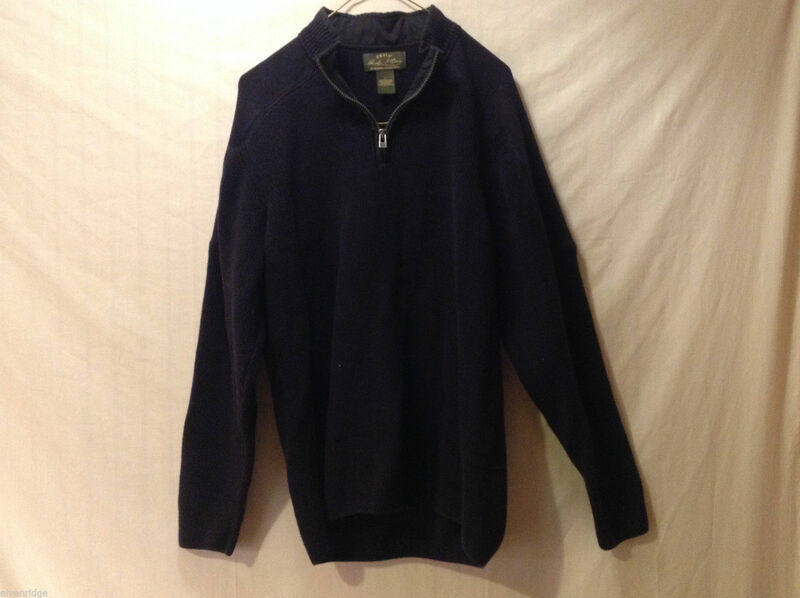 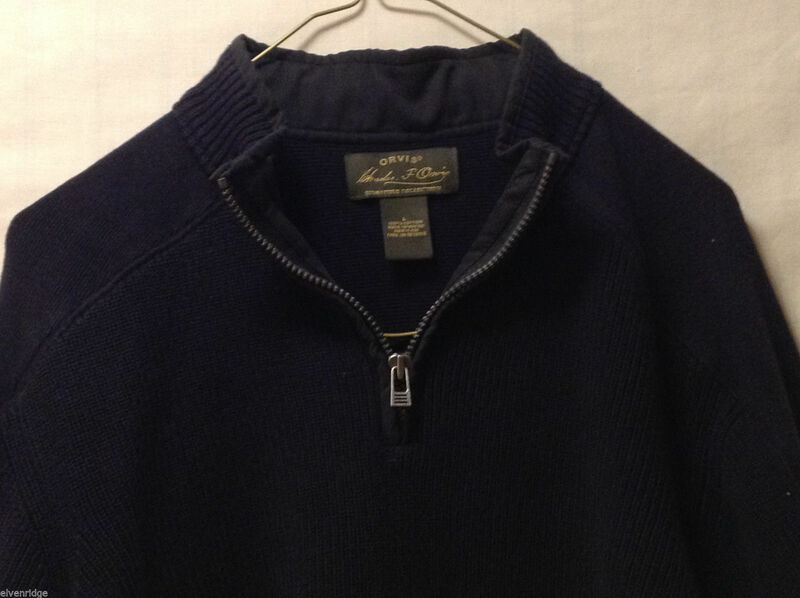 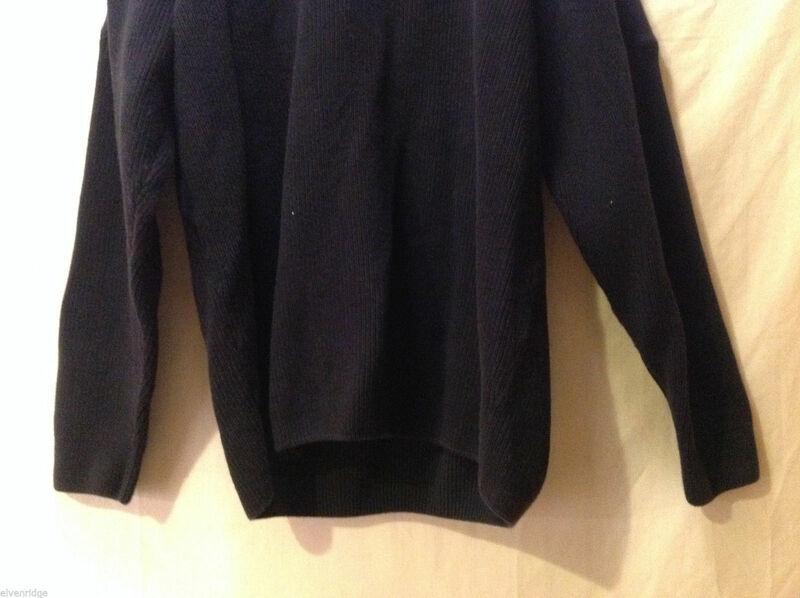 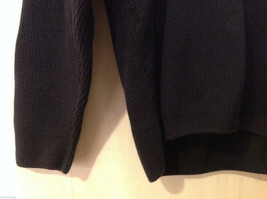 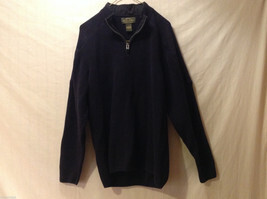 This is an Orvis men's size L 1/4 zip sweater in a dark navy blue 100% cotton heavy knit. Please carefully check the following measurements to ensure that the fit is right for you! Shoulders (measured sleeve seam to sleeve seam across the shoulders): 19"
Sleeve length (measured sleeve seam at shoulder to end/bottom of sleeve): 25.5"
Chest (measured underarm sleeve seam to opposite same seam with garment laid flat and closed/buttoned, across the front): 25.5"
Length of garment (measured shoulder seam to bottom edge): 28.5"